Born in Tel Aviv, Lavi moved to the states as a teenager and has the affect of a fully fledged New Yorker. However, she retains both an affection for the clean-lined architecture of her hometown and a transplant's appreciation for the decorative filigrees of the Upper West Side (Bauhaus meets Beaux-Arts). After completing a BFA in Interior Design at NYIT and continuing graduate studies in Decorative Arts at NYU, Lavi spent nine years in the shop of a high-end residential decorator before opening her own studio in 2004. 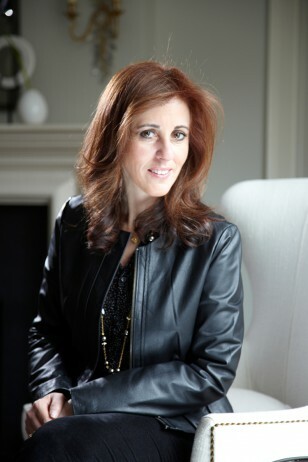 She has been featured in a number of publications, including House Beautiful, NYCandG, and New York Spaces. Clients note that she is a pragmatist (“even when the budget is large, there’s a budget”) and appreciate her ability to do more with less, like splurging on eye-level pieces while skimping smartly on shin-height fixtures. They also praise Lavi’s patience, diligence, and her ability to balance the realities of family life with the uplifting power of good design.